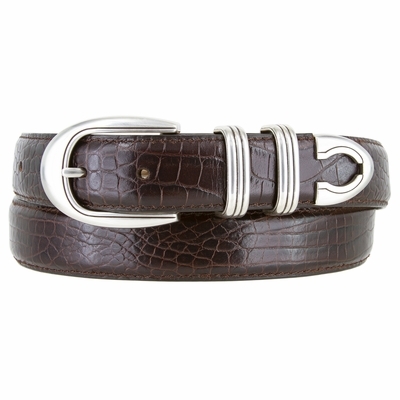 Genuine Italian Calfskin croco embossed leather belt. 4 piece silver finished buckle set. 3 snaps to snap on and off your buckle. 7 holes to adjust the belt to your size.